LOUISVILLE, Ky. — March 8, 2012 — (NYSE:GE) — Consumers need not venture to an upscale restaurant to be wined and dined. That luxury experience can be achieved in a small package, all in the comfort of their own homes. GE Monogram® 30-inch wide refrigerators offer an exquisite design that starts with options like an integrated wine reserve and ends with staple features like a “convertible” refrigerator/freezer drawer, which can be set for fresh foods, frozen foods or wine storage. 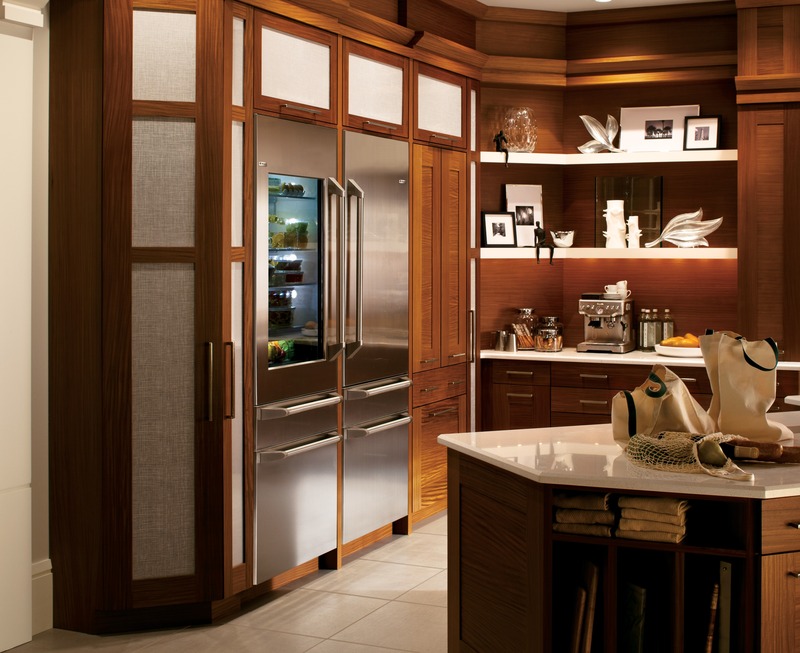 This month GE adds a glass door front option – a company first – to its opulent 30-inch Monogram line. This enticing glass design quickly turns the refrigerator from an ultra-convenient appliance to a stand-out focal point that enhances a room’s aesthetic. All of the 30-inch Monogram models, including the glass door design, offer a flush installation with surrounded cabinetry for a fully integrated appearance. 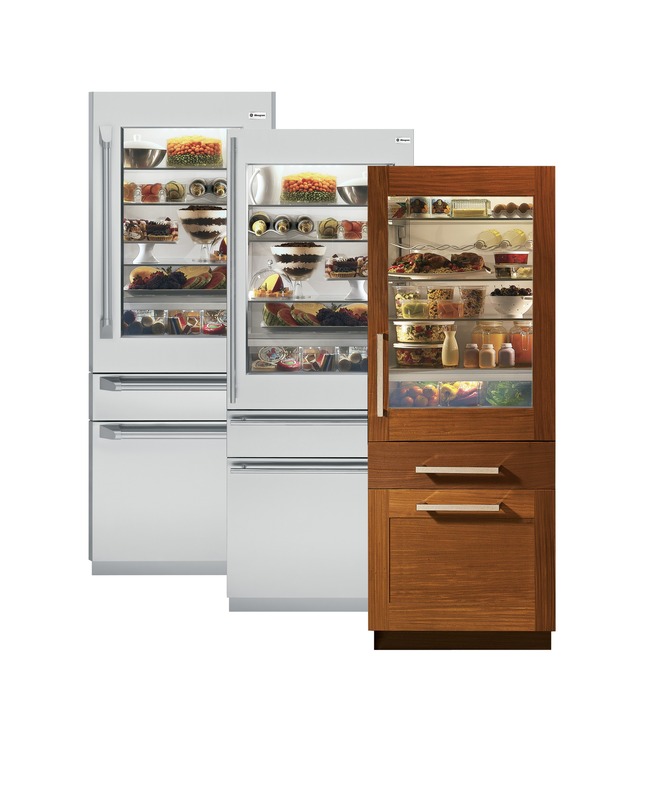 This month, GE adds a glass door front option – a company first – to its opulent 30-inch Monogram® line. This enticing glass design quickly turns the refrigerator from an ultra-convenient appliance to a stand-out focal point that enhances a room’s aesthetic. Chef-Inspired Food Preservation: Just as you might find in the kitchen of a gourmet chef, the 30-inch Monogram refrigerators are equipped with two separate sealed refrigeration systems to help the fresh food section maintain humidity, while preventing odor transfer between compartments. 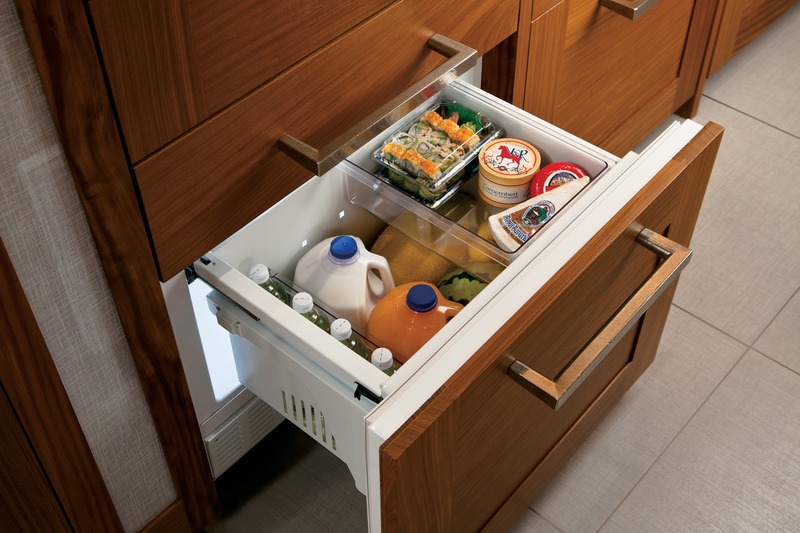 Convertible Refrigerator/Freezer Drawer: Need to store ice cream one week and raw vegetables the next? That’s easily achieved. 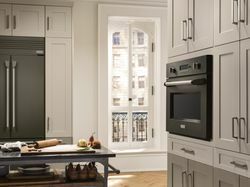 In addition to a fresh food compartment and a freezer drawer complete with an ice maker, this new line of refrigerators features a third “convertible drawer” — an industry first for built-in refrigerators — that can be set from negative 6 degrees Fahrenheit to 55 degrees Fahrenheit with a simple touch of its digital controls. 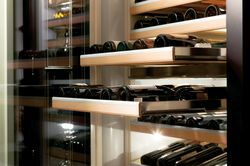 Wine Reserve: Don’t have space for a wine room? Wine-reserve models featuring dual zones allow for storing and serving both white and red wine simultaneously at optimal temperatures. The compartment offers six full-extension wooden wine racks, along with a display shelf, and storage for as many as 106 bottles. 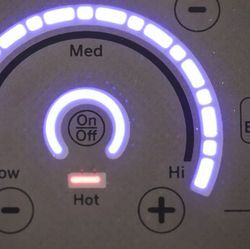 Style-Forward Accents: The refrigeration panels from GE Monogram come in various options — including stainless steel models with either European or Professional styling. They can even be installed with custom panels to match the homeowner's cabinetry. The Monogram refrigerators are the first HFC-free refrigerators in the U.S., which means they replace the standard hydrofluorocarbon refrigerant with isobutene, an alternative that creates significantly fewer greenhouse gases. *Resellers determine their own pricing. Don’t have space for a wine room? Wine-reserve models featuring dual zones allow for storing and serving both white and red wine simultaneously at optimal temperatures. The compartment offers six full-extension wooden wine racks, along with a display shelf, and storage for as many as 106 bottles. The Monogram® 30-inch wide refrigerators can be used as main refrigerators in smaller kitchens, like those found in urban apartments, or as secondary refrigerators anywhere in the home for an ultra-chic appeal. 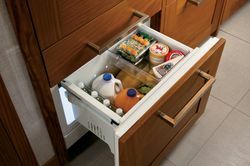 In addition to a fresh food compartment and a freezer drawer complete with an ice maker, this new line of refrigerators features a third “convertible drawer” — an industry first for built-in refrigerators — that can be set from negative 6 degrees Fahrenheit to 55 degrees Fahrenheit with a simple touch of its digital controls.